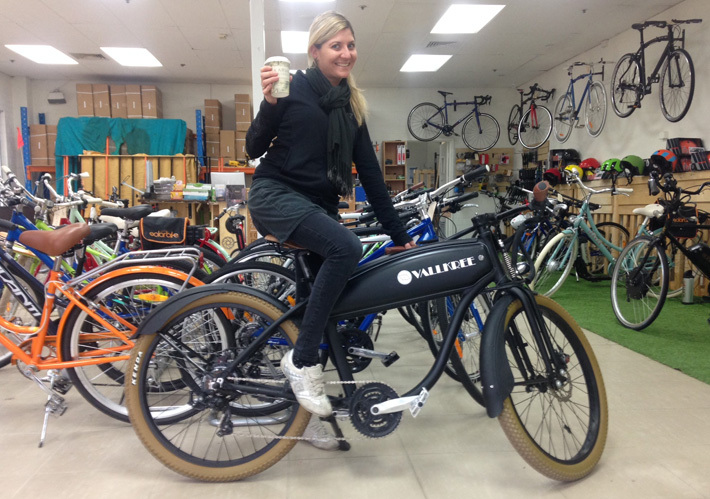 Vallkree are a group from Byron Bay who are designing, building and importing some pretty good looking electric bikes. We’ve got a few on our shop floor now so if you’re interested in this style of bike then please come by and take one for a spin. They have a rear wheel motor, pedal assist and also open throttle control. They’re suprisingly comfortable and look great. They have a variety of styles, accessories and colours available. Please check out their website here.